Do you sometimes experience pain, physical discomfort or strong moods that limit you from leading the life you want? Are there scenarios in your life that repeat themselves as though nothing could ever really change? Or do you find that you are often reacting to life, as if it were happening to you, rather than determining how you want it to be? Often, there is a gap between how we would like our life to be and how it actually is. Maybe we experience this gap as physical pain, frequent stress or anxiety, challenging and debilitating moods, or recurring unwanted feelings. The first step towards real change in any one of these experiences is the willingness to learn how they appear in your life and in your body. In you resides the ability to move with greater freedom, strength and flexibility, breathe more freely, have more energy as well as an increased ability to reach your goals. Call me today to book a consultation session, you will discover my 3 step unique system to achieve greater health and well-being, and we will see if we are a match to work together to achieve your goals. Contact me to book a consultation session! 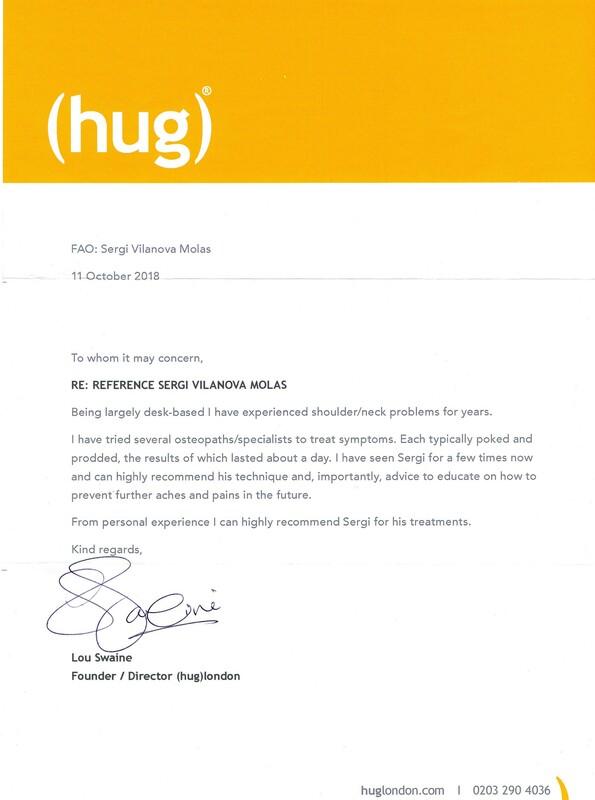 As a qualified practitioner, during the last 2 decades Sergi has developed a successful unique 3 step system to stop or reduce the impact of chronic conditions and stress related symptoms. 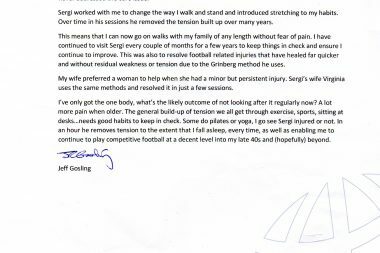 Sergi’s qualification in the amazingly effective Grinberg method, plus learning from the best mentors in Europe and abroad, allowed him to develop a unique system: a structured way of learning through the body that uses touch, breathing and a variety of techniques that increase your energy levels and body attention, and give you the tools to effectively improve a range of physical conditions and stress related symptoms. The aim is to attain greater health and more personal freedom to expand your life step by step. 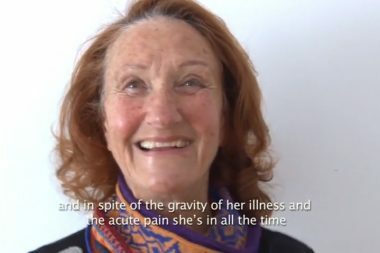 Whether you wish to stop suffering from physical pain, enhance your talents or develop your ability to bring your best to whatever you want to accomplish- with this unique system you might find what you were looking for. ‘Our work together will empower you to integrate your progress and live a more balanced, fulfilling and rewarding life’. 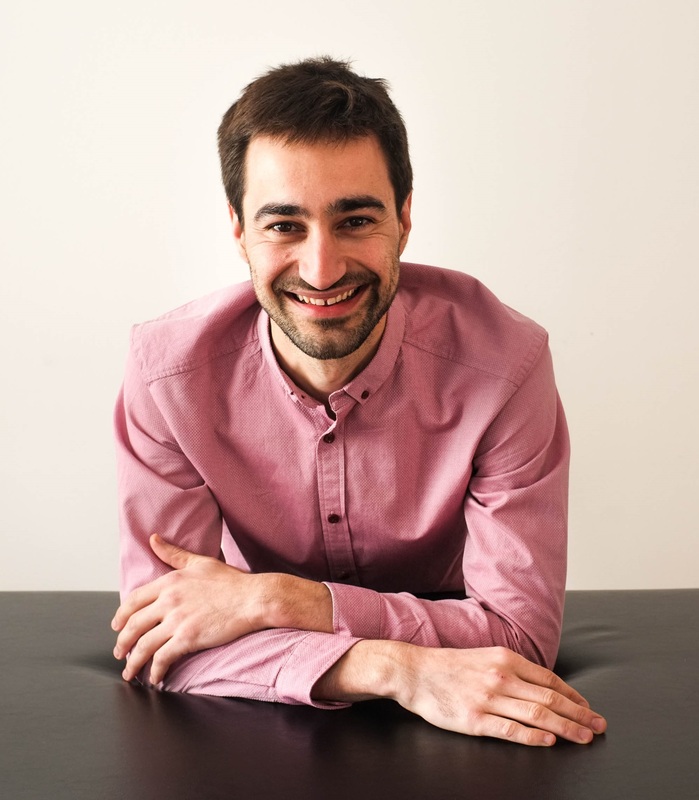 Sergi offers two kinds of individual processes depending on what you want to achieve. 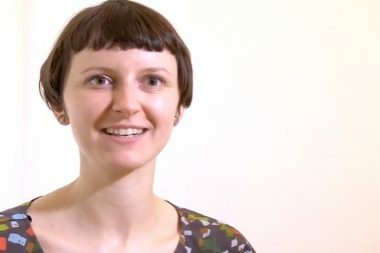 One focused on treating only acute and recurrent physical conditions and the other one focused on both on personal development and the physical symptoms connected to what you want to learn/achieve. Suitable for people who experience acute physical conditions, who suffer from recurrent severe conditions, or who have suffered any sort of physical trauma – this may include the ‘before’ and ‘after’ an operation. It is a specific methodology based on the assumption that the body will heal optimally if given the right conditions. My intention through this type of sessions is to teach the client to allow fear, to stop their reactions to pain, to quiet down the mind and to direct the client´s attention to the area of the body that needs it most. All these lessons are designed to intensify and maximize the body’s natural capacity to heal itself. Once a client has passed a critical stage, they could pass on to the learning process to make the recovery fully integrated in a way that the condition/injury/pain doesn't come back. 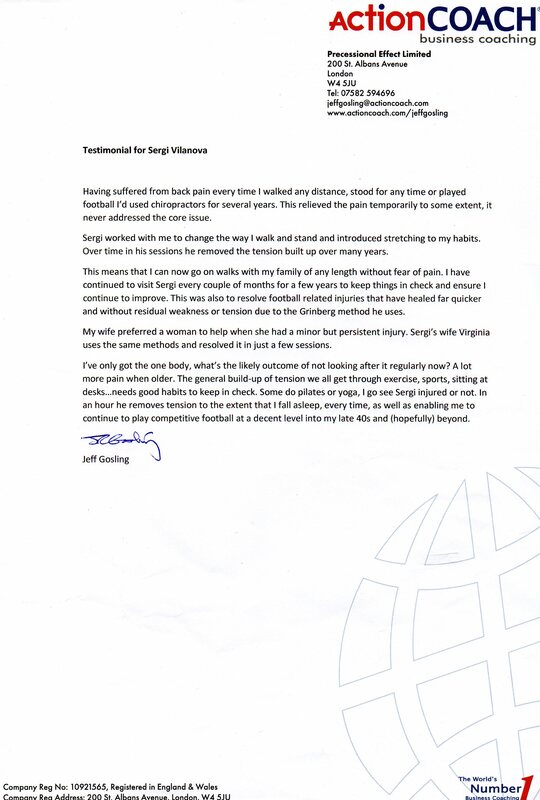 The aim is to have a full recovery and to stop the repetition of the condition/injury/pain and its associated symptoms. The starting point can be a physical condition you want to change (e.g. digestive disorder, difficulty in breathing, migraines), or it may be the difficulty to permit and to express certain emotions, indecisiveness, problems with time management, or any other experience that detracts value from your life or that holds you back. It can also be a desire or a project you want to accomplish, a quality you are looking to develop, or a talent you want to promote. The body-based learning method focuses on recognizing and stopping the obstacles we meet along the way, and in developing specific skills that are necessary to carry out such purposes. The process will include learning how to handle your fears, how to allow the experience of pain, how to exercise your will, the challenge to your personal discipline that the need for training yourself implies, and how to let go of what you already know in order to learn new possibilities. To receive intensive sessions is suitable if you need to give a powerful step forward in a few days, either in a subject (a decision you have to take, a mood or attitude you want to change, a project you want to be ready for,…) or in a physical symptom/condition. People not living in London or near London often decide to have intensive sessions (e.g. a couple of sessions in a day, or 4 sessions in 2-3 days) so that when they come to see me they can create a big step towards what they need/want saving travel time. The intensive sessions can be focused on recovering from a physical condition, or reducing stress or working with a subject that can allow you move forward the life you want to have. 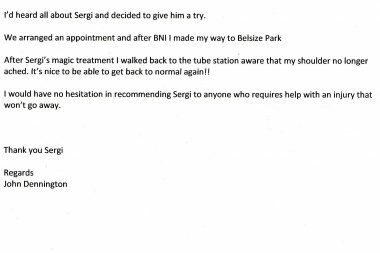 “The sessions with Sergi have helped me in my everyday life to feel more relaxed and confident in social interactions, with my partner, with my friends, with my family, with the people I work with. 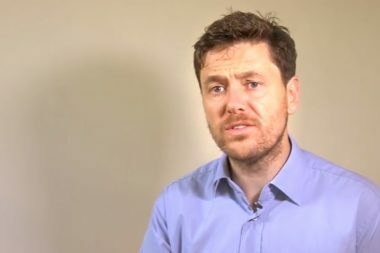 “Even though I consider myself healthy I do suffer from sinusitis and rhinitis which both combined give me very nasty headaches that affect my sleep. To help in the past I used relaxation massages almost every month but I have never experienced amazing results, it was purely relaxation. 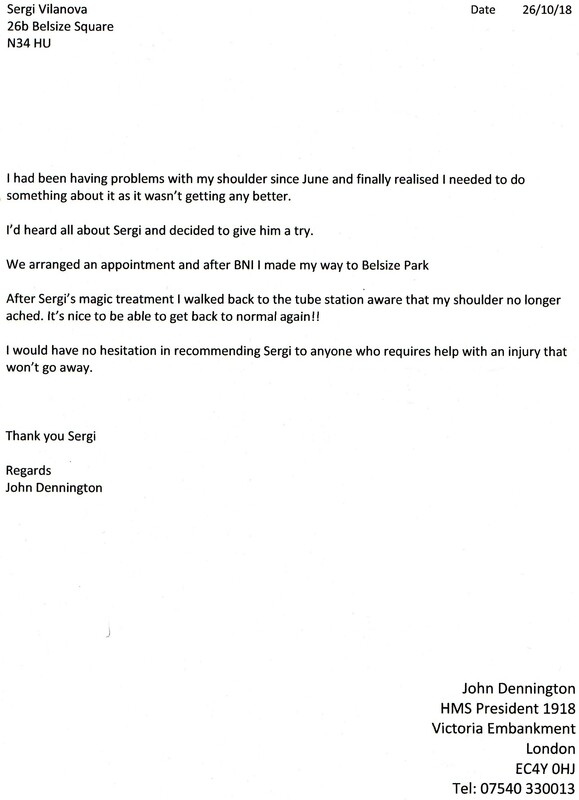 “The process of sessions with Sergi has been amazingly effective. It has changed me completely. For many years I had the sensation of not living my true life, as if my real life would be going to start in a not defined future, and in the meantime years went by and I wasn’t living my life in the way I wanted to live it. The problem was that I didn’t know what to do to change the situation and… was I going to waste my life without living it fully? After 10 more kilos, without motivation for anything, without energy, without enjoying fully anything, of MY LIFE. I was fed up of being like this but, how to change it? I started projects with a lot of enthussiasm and after a litle time my will diminished and I was back again into my usual apathy – and more convinced than ever that it was not worth doing anything because at the end I always let myself down. I had no clarity when taking decisions and consequently I never bet 100% for my projects, for my opinions, for myself. Now I’m the protagonist of my life and I love the life I have. I’m active and I have a lot of clarity. I use the tools that I’ve learned to free myself, I’m not stuck in apathy and disappointment. I’ve lost weight because I connected with my body. I walk a lot, I eat what I need when I’m hungry, I have a lot of projects and the determination of getting them ahead. 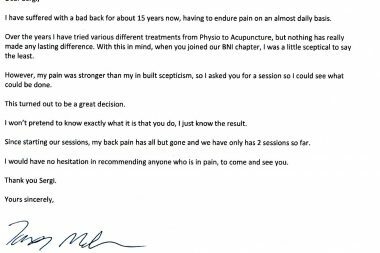 “Some time ago I broke 50% of the meniscus in my right knee and I had a small intervention to eliminate the broken part of the meniscus. In the hospital visit after the intervention, I was informed that I would need at least one month without working to have my knee recovered, which was something I could not afford at that moment as a self-employed. 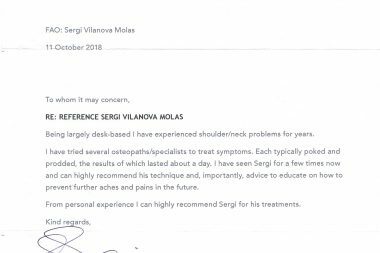 At that time I was already receiving sessions of Sergi Vilanova, and Sergi informed me that we could work a couple of sessions in my knee to achieve a faster recovery. 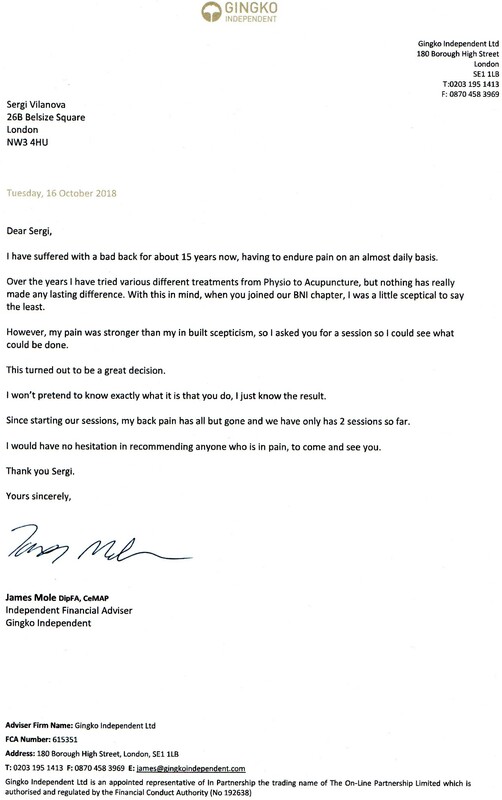 After only 2 sessions in one week, I was impressed that when I came back to see the doctor the week after, the surgeon, visibly surprised, let me know that I was ready to work again and that he even recommended me to walk and go up stairs to strenghten the muscles close to the knee. ‘Contact me if you have any question or to book a consultation session to discover if we are a match to work together to achieve what you want in the most effective way.